Francesca Longrigg began her musical career by releasing an EP called Shine On Me from the indie label Bright Spark records. The EP included the song of the same name, written by Ed Baden Powell from D Influence, and went straight to radio 'A' lists. Francesca signed to Chrysalis Music and released an ambient dance version of her song Hanging In Mid Air (co-written with Mike Parker), which was produced by Adrian Sherwood and Keith LeBlanc of On-U Sound. She earned the accolade of 'singer of the month' in the industry's mag Tipsheet. Tim Simenon of Bomb the Bass produced a dub version of the track, and Francesca contributed two songs for Keith LeBlanc's huge selling album Auduim Capsule 1. Francesca also trained in drama and was a successful TV and film actress alongside her songwriting career, appearing in Star Wars: The Force Awakens, and as Mrs Dormandy in The Boat That Rocked. Francesca lived in New York for three years and alongside regular solo gigs under the wing of Reprise records, she explored many diverse collaborations including working with the reggae artist Floyd Lloyd, co-wrote It Ain't Easy with Pink Floyd instrumentalist Jon Carin, and was the lead singer with The Prescients, the New York based band with Bryan Martin (collaborator with David Byrne) at the helm. 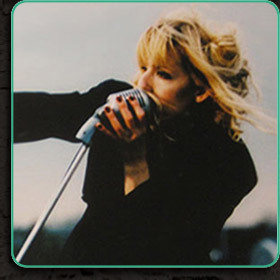 She wrote and recorded Myth, the song which appeared on the massive US Delerium record Poem, and her version of Shine On Me appeared on the compilation Keep It Cool. She appeared with Matt Kelly in his band Kingfish on a festival tour, and wrote songs with Beat Paul for Bumptchak music in Paris. During this period Francesca also voiced the characters of Fiona and Tun Luiec in The Longest Journey, an award-winning and widely acclaimed computer game. Back in London, Francesca sang two tracks for Ben Chapman on his album Bazuka Drop. She also wrote and performed the music for the fashion designer Ally Cappellino for three of her catwalk shows held at London's Natural History Museum, and her album Dark was released on One Fifteen Records. By this time Francesca had married Paul Loasby, given birth to their daughter Lara, and the seeds to the children's album The Land Of Sometimes were sown. With Chicky Reeves as co-producer, the album was released to critical acclaim, being voted one of the ten best audio books for children ever by The Independent. Early in 2017, Francesca released a new album entitled True Noise, a collaboration with Ivor Guest (musical director to Grace Jones) and multi-instrumentalist James Watson. Francesca released PODD, an EP with DJ Ben Chapman, in November 2017. The Land Of Sometimes is poised to become an animated feature film and will be going into production this autumn, and Francesca has just begun work on an acoustic album entitled Still Life. 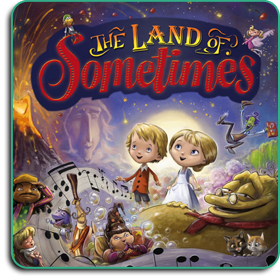 "The Land Of Sometimes has taken us all by surprise: the musical adventure of twins Alfie and Elise in an enchanted world expressed through everything from reggae to Irish dance is at once soothing and engaging." "A mini musical, alternating warm, daddyish narration of two children's fantastical adventures with rousing and varied riffs on Irish Jigg, New Orleans Jazz and much else, which will have kids of all ages and adults tapping their feet. Impressive sound effects and excellent tracking, so that you can easily play a song or hear the story link, again." "Put down your iPhone, turn off the television and let this gently evocative soundscape spark your child's imagination." Copyright One Fifteen. All rights reserved. Website by Blade Design Ltd.